Get another one of all the best gear in skateboarding from The Boardr. We're welcoming Nike SB to The Boardr Store in Gainesville this week. 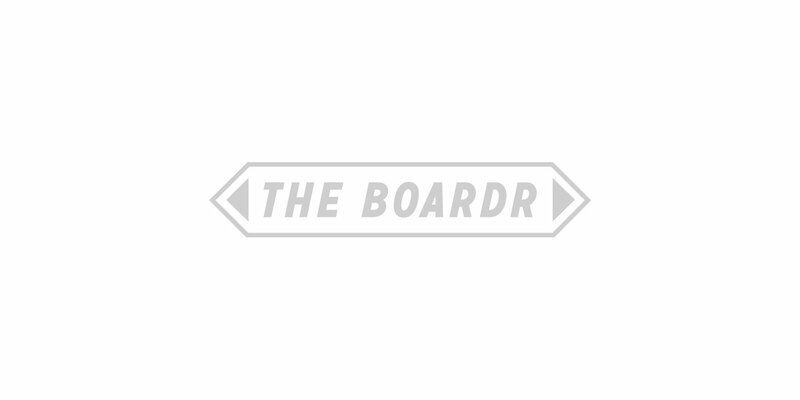 All Deklines are on sale in The Boardr Store. All of our etnies in The Boardr Store are a quarter off right now. We hope our friends up north are surviving the big white out up there. Down here in Florida, we find ourselves wondering how we'd deal with temperatures plunging below the 70's that they're at during winters here. I put together a few things for a Florida Blizzard survival kit from The Boardr Store. It makes me wanna be barefoot, shirtless, and shameless. The fashion companion to the recent comebacks of no comply's and ollie impossibles is no doubt camo these days. We got enough camo gear to deck you out for skateboard war here in The Boardr Store. Take a look at this arsenal! Austin England, long time friend of The Boardr and one of the most recognizable illustrators you'll find out there these days recently went nuts. Not in the sense you'd think your average artist goes nuts. Nope, he's totally sane and started a hardware company that we're hyped to be backing: Sea Monster Hardware. In this collection, we're leaning towards the flamboyant. Loud and proud is not for everyone and it takes a special character to pull it off right, but those that do are some of the most entertaining personalities in skateboarding. We pulled together some of our favorite wacky items from The Boardr Store so you can kickstart your standout in skateboarding. Black shoes have always been the most popular in skateboarding. Nothing is 'the new black' except black. Now, black from ankle to ground is one step further, as most black shoes have a white or gum sole. I must admit, I've never gone black to the ground. Maybe it's because it reminds me of my days waiting tables? I don't know, but looking through this list of six supermassive black holes you can put on your feet and shred in has me thinking I might just go for my first pair of black rubber touching black grip. Vans doesn't even need an introduction, right? Well, I'll introduce anyway. Skateboarders wear Vans. Skateboarders have always worn Vans, even far before Spicoli. The Waffle Grip and classic style have always been the perfect balance between form and function. The all white shoe isn't for everyone. I've had a soft spot for the pure whites since early teens when three things started to consume my life and never stopped: skateboarding, hip hop, and sneakers. I've got a few cloud kickers picked out for you to shred in here. It's fine if they get crusty while skating, but if you step on them, it's over. Decades of skateboard shape evolution led to the standard popsicle shapes that have dominated over the past 20 or so years. In the past few, we've seen quite a comeback of funny noses, weird tails, and wacky centers. I got 10 good ones for you to browse here. We hope you never quit in the first place, but if you're one of the "I used to skate" types, we understand. Life can stop the roll - from spouses to jobs to kids to oversized belly growth, things can stack against the good times on the wood and wheels. We have found that many of you are rediscovering it later in life and have put together a list of things you might be interested as the old school skateboarder and older one returning to skateboarding. Welcome back! I was recently in San Francisco in the Haight Street neighborhood which led to the idea of catering to the homeless skateboarder. These days, homeless certainly doesn't mean poor, as we find more and more of our friends choosing to live this way. We got you with these goods to keep you tight on the streets whether you're skating or living or both. What is it with all white shoes? I'm a sucker for them. Here's a sample from The Boardr Store from adidas and HUF. Can you pull these off? I'll scuff them up with ollies all day, but if you step on them, I'll kick you. Many of your favorite pros and close associates of The Boardr are associated with Happy Hour and their quality sun blockers. From Bryan Herman to Trevor Colden to Figgy and more, we're backing both their product and their crew. Browse a new drop of their gear in The Boardr Store now. New shoes have arrived from Emerica, etnies, and DC in The Boardr Store with our $1 shipping still in effect. Get your feet right! New gear in The Boardr Store from Cycle Zombies, Spitfire, Dakine, adidas, Diamond, Real, Anti-Hero, Krooked, Thunder and more. Yep, check the profile link, all at $1 shipping.